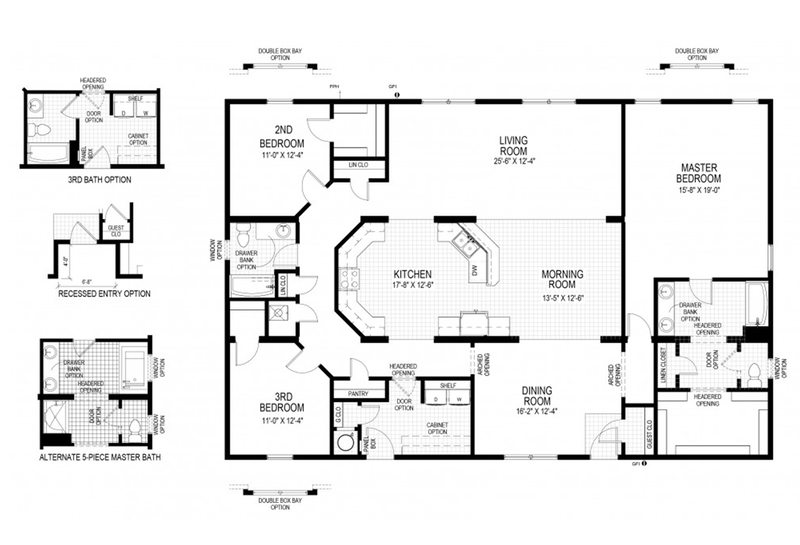 Classic preferred homebuyer floor plan layout with private master bedroom and bath located at opposite ends of home with large modern kitchen and spacious living room in center, maximizing floor space. 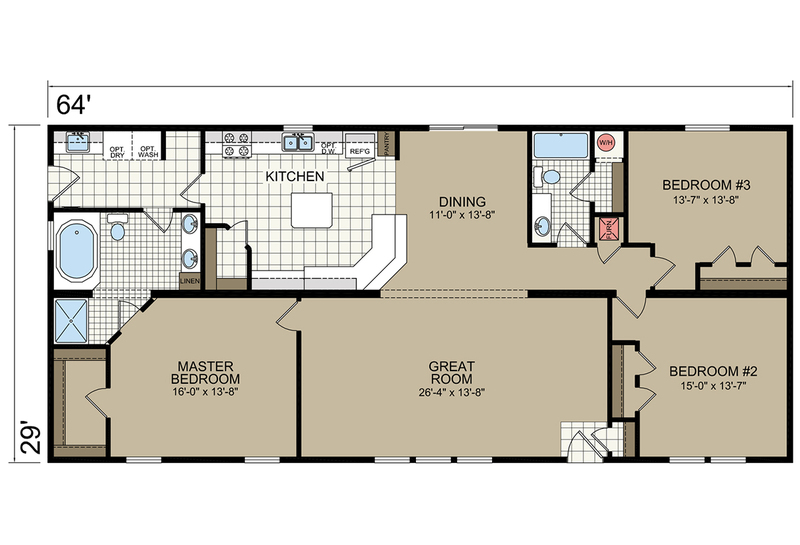 Extra large well equipped bright center kitchen open to spacious living room in this front and rear bedroom floor plan. 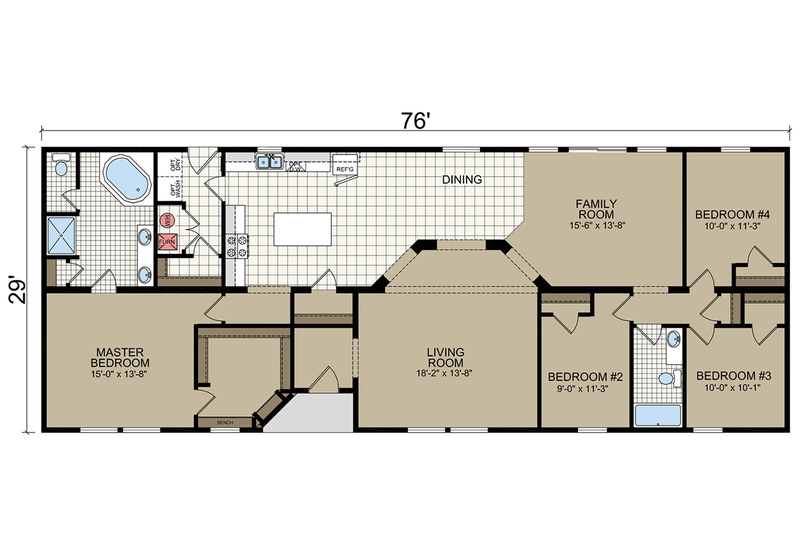 This is the classic most sought layout in a family single section home. 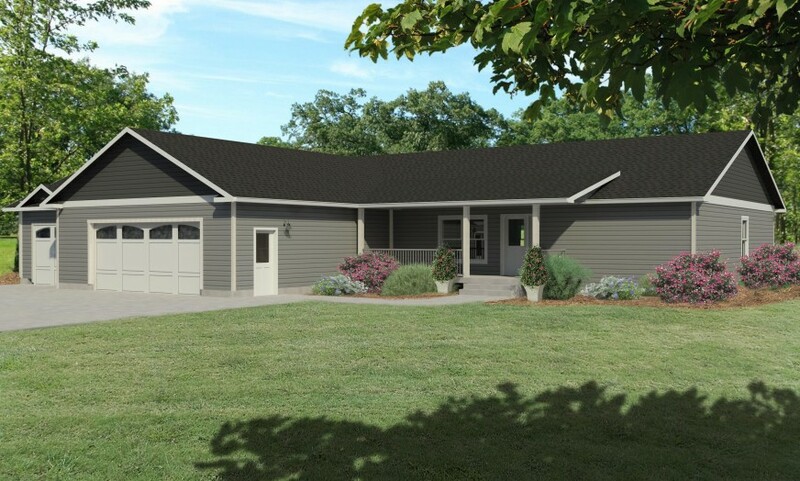 Expansive modular home features recessed main entry foyer into large living room with architectural arches into beautiful gourmet style kitchen/dining room and ideally located family room. 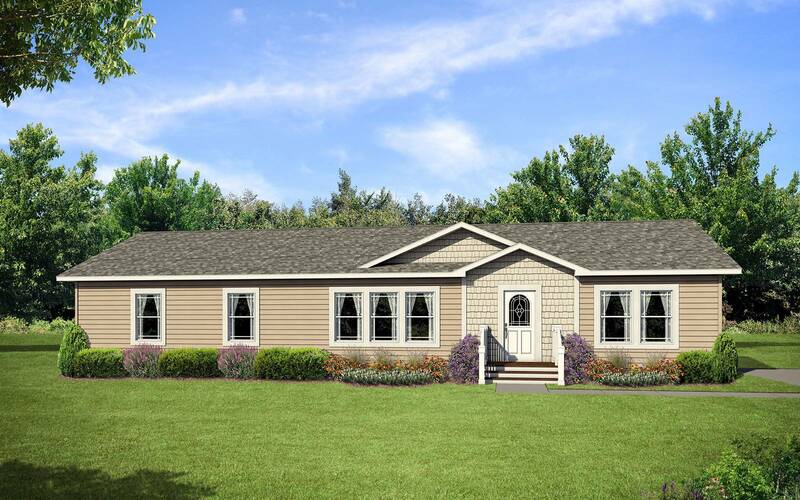 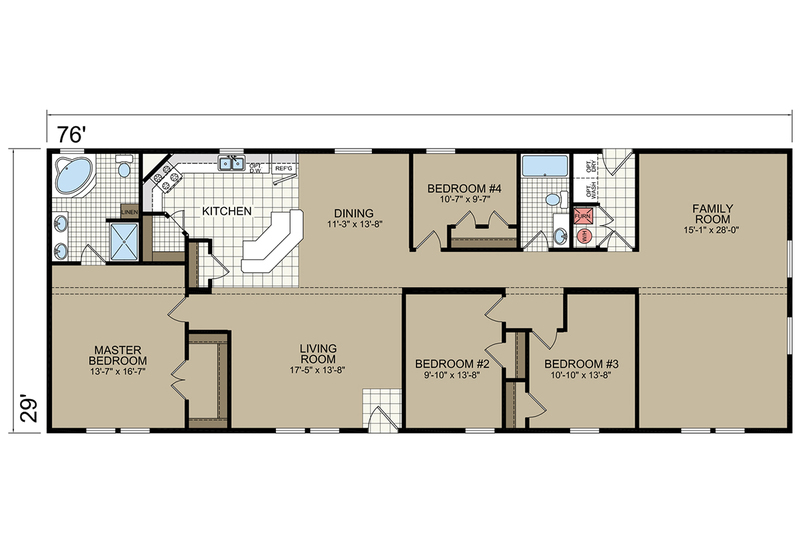 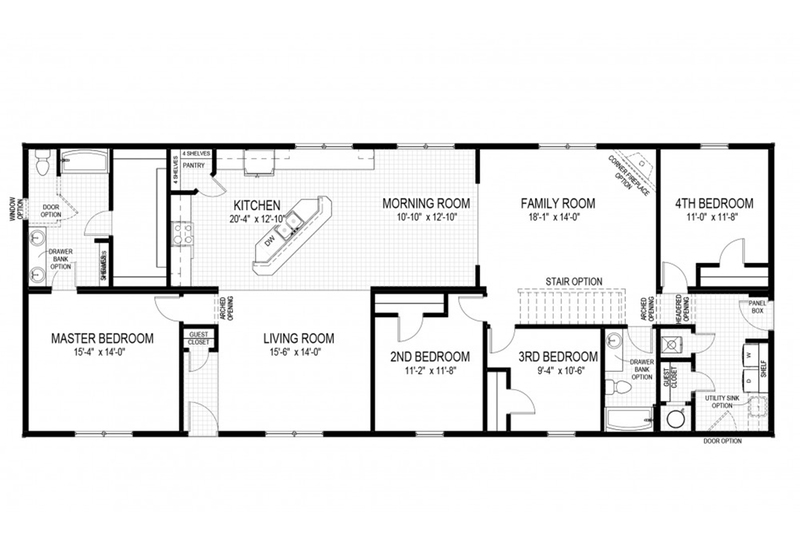 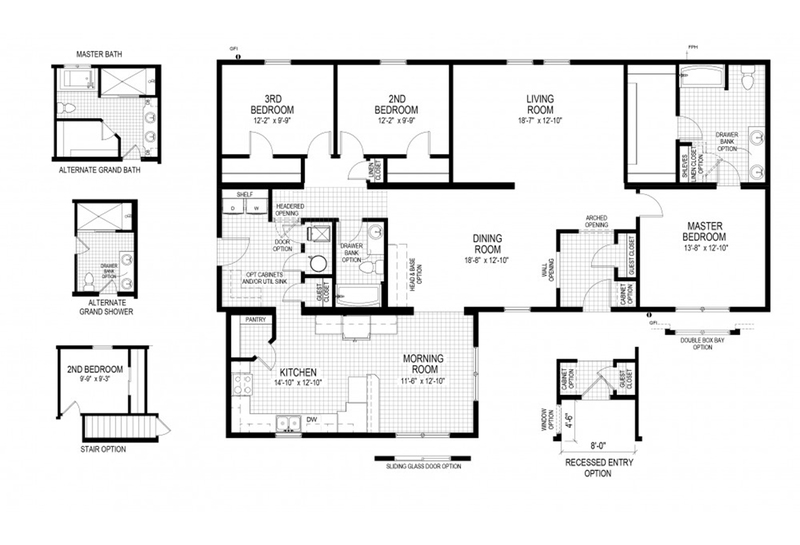 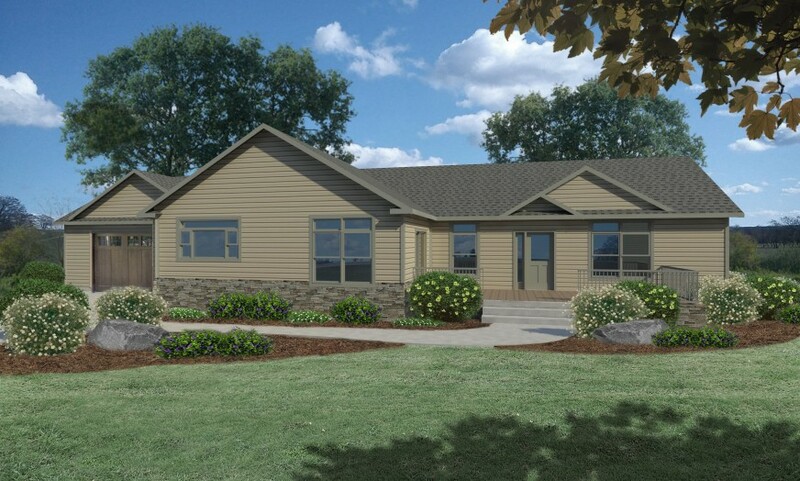 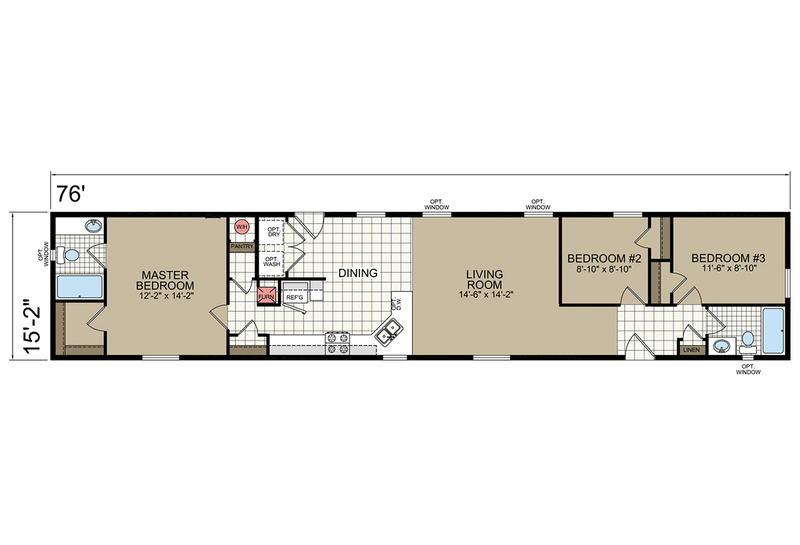 2204 Square Feet, 4 Bedrooms, 2 Bathrooms, Multi-Section. 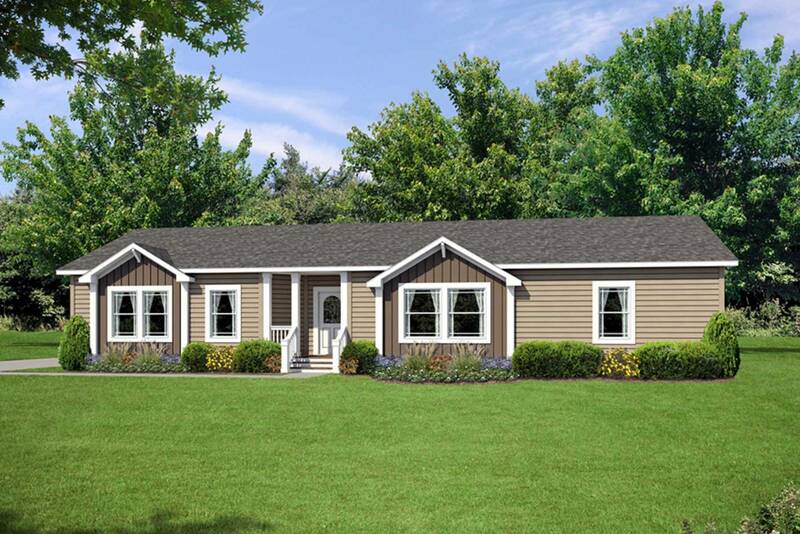 This modular home is built to state building codes. 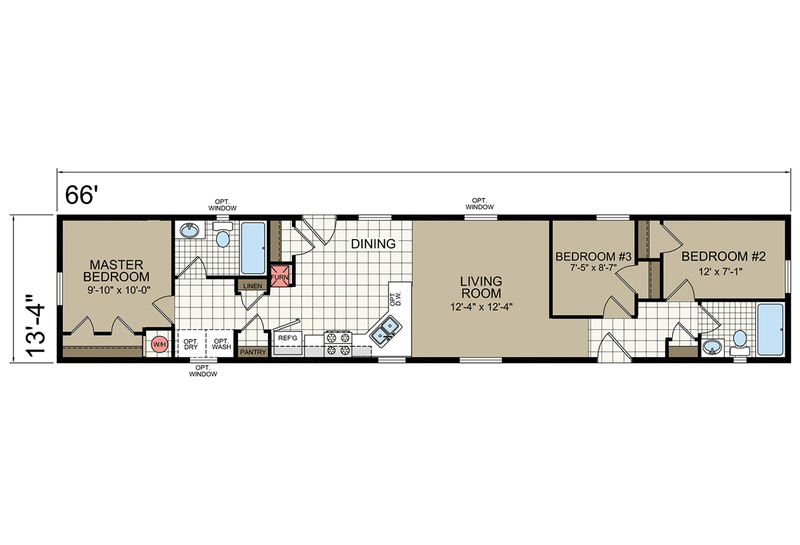 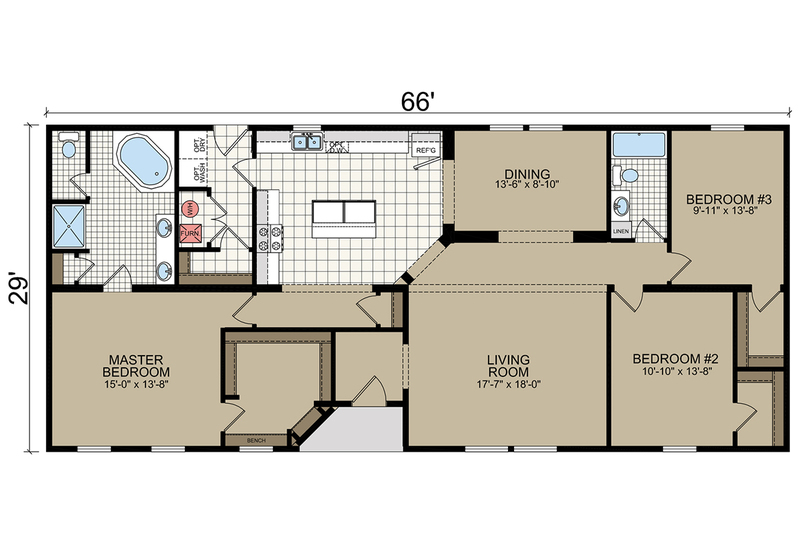 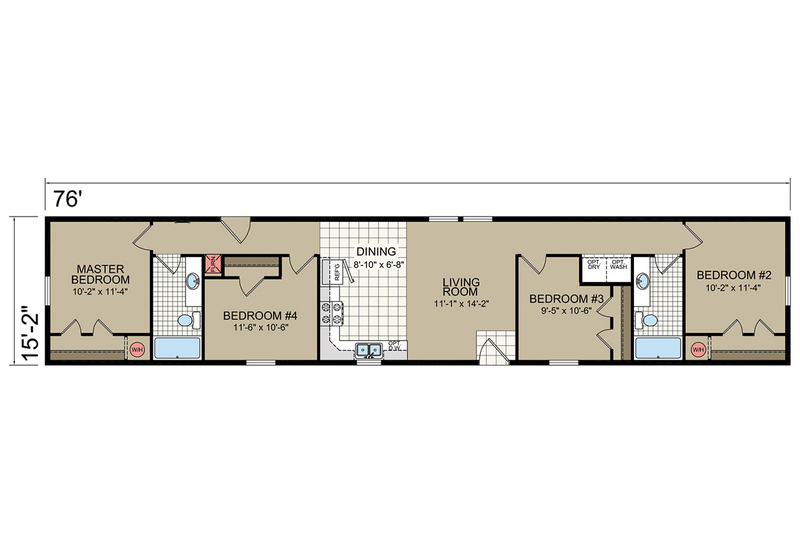 1914 Square Feet, 3 Bedrooms, 2 Bathrooms, Multi-Section. 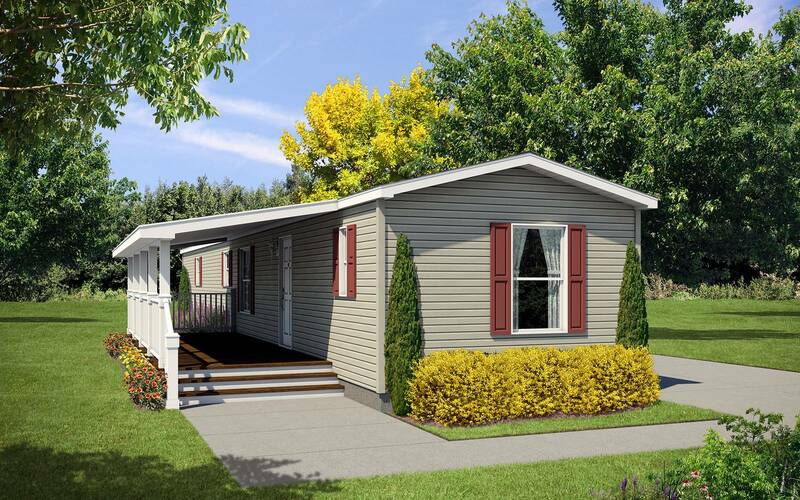 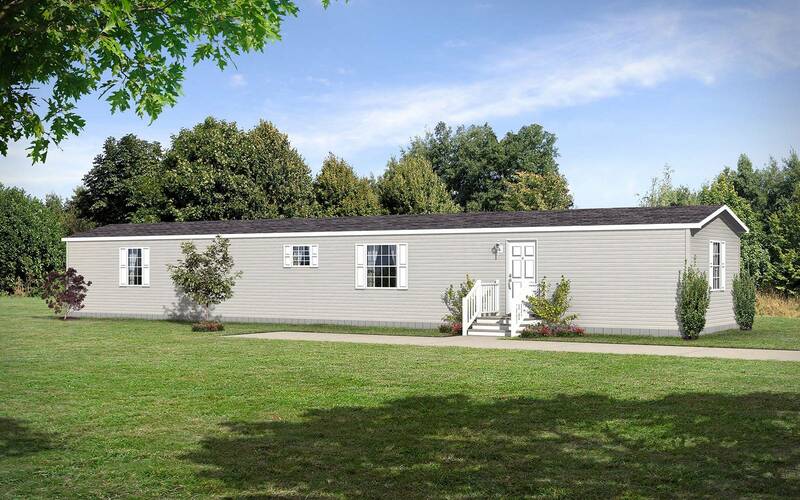 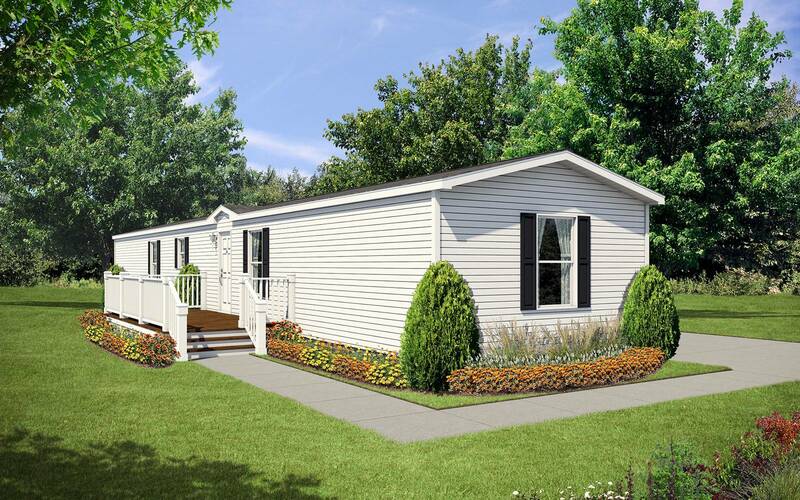 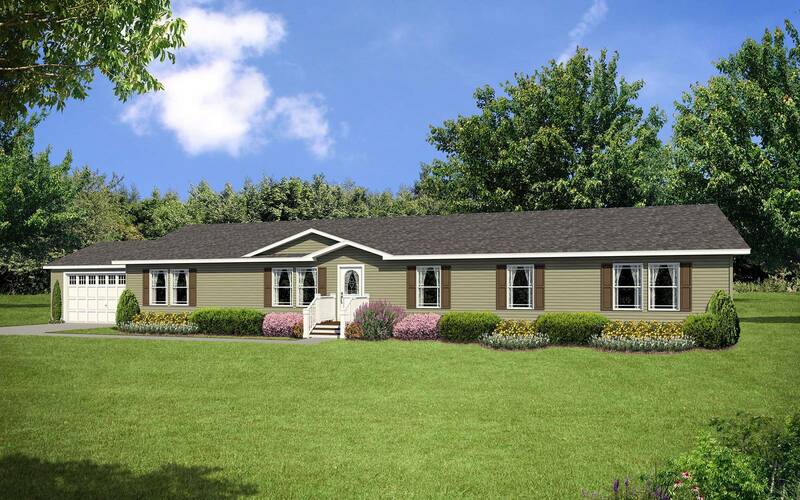 This manufactured home is built to the federal (HUD) building code for manufactured housing. 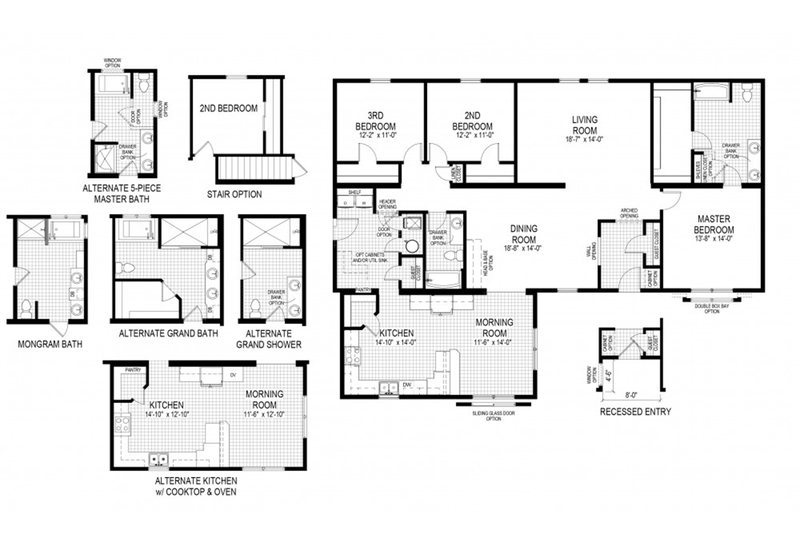 Sillfully crafted open concept floorplan features a great kitchen with lots of handcrafted wood grain cabinets, seemingly endless countertops, center island worktop, expansive living room and an elegant master bedroom with ensuite luxury bath.